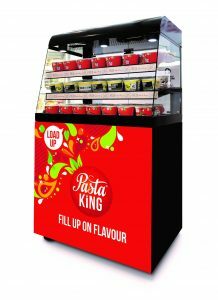 Pasta King provides free on loan equipment in a variety of sizes to suit every location and customer footfall. 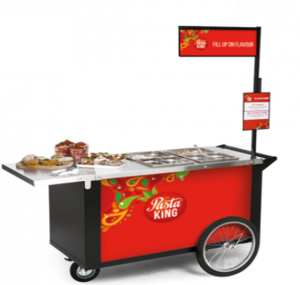 Our innovative mobile food carts and hot cabinets offer solutions for queue busting and efficiency improvements and represent the ultimate in product versatility for those customers who take our pasta, curry and Mexican meals. 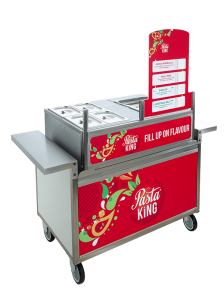 In Pasta King’s standard equipment range, the counter-top Mini pasta bar carries one or two sauces plus the pasta, rice or noodles.  The Midi bar holds three different sauces, while the Maxi allows you to offer four sauces and two separate pasta/rice/noodle options. 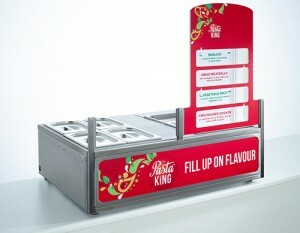 The Midi and Maxi can be either counter-top or free-standing, which allows you to create a separate queue point. 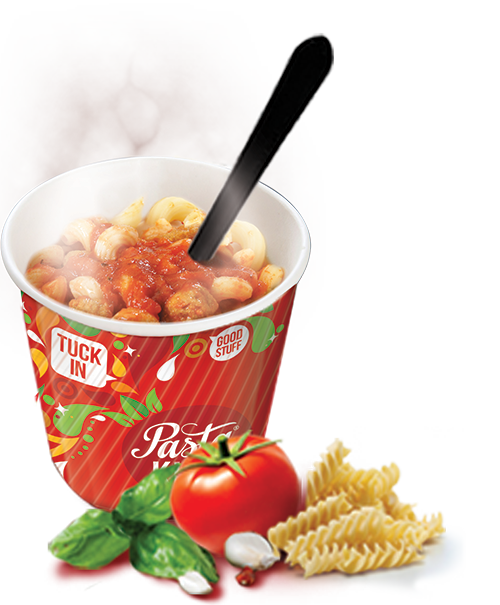 Pasta bars are supplied fully branded and come with a slot-in menu board and point of sale material.